A finishing wax to define and texturize hair while adding luminous shine. Acacia collagen, a moisturizing active ingredient, hydrates hair while protecting from environmental stresses. Paraffinum Liquidum/Mineral Oil, Cera Microcristallina/Microcrystal-Line Wax, Paraffin, Ozokerite, Candelilla (Euphorbia Cerifera) Wax, Cera Alba/ Beeswax, Peg-40 Hydrogenated Castor Oil, Acacia Seyal Gum Extract, Tocopherol, Parfum/Fragrance, Aqua/Water, Propylene Glycol, Phenoxyethanol, Potassium Sorbate, Ethylhexyglycerin, Linalool, Citral, Limonene. 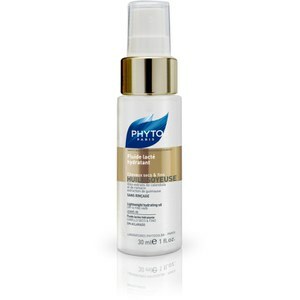 Receive a FREE Phyto Huile Soyeuse Lightweight Hydrating Oil when you buy two or more products.